Brad Amman is the CFO of Vivos Therapeutics, Inc.. Through leading Dental Professionals, Vivos distributes breakthrough medical devices and treatment protocols that address conditions associated with sleep disordered breathing (“SDB”), including obstructive sleep apnea (“OSA”), and a wide array of other correlated health issues. As the treatment process unfolds, the airway naturally expands; thereby reducing or eliminating sleep disordered breathing symptoms and allowing the patient to “Breathe New Life”. Prior to Vivos, Brad was the CFO and COO of InLight Medical. InLight provides elegant polychromatic light therapy systems for clinical, professional and home user applications. InLight’s devices are FDA cleared for increased circulation and reduced pain. Prior to joining InLight, Brad served as CereScan Corporation’s Chief Financial Officer. CereScan specializes in state of the art functional brain imaging, utilizing a patented process, the latest generation functional imaging SPECT and PET cameras and the industry’s leading brain imaging software to assist in the diagnosis of a magnitude of brain-related conditions and disorders. Brad held various executive roles at LifeVantage Corporation, including Chief Financial Officer, VP Finance, Secretary and Treasurer. While at LifeVantage, he contained costs, developed a sustainable and successful revenue model and managed through a turnaround to reach positive cash flow. During Brad’s tenure, LifeVantage went Public and became listed on the NASDAQ. Brad also served as the Vice President of Finance and Administration and the Treasurer of SKYDEX Technologies, Inc., a leading edge manufacturer of OEM cushioning and protection products, “Protecting Things That Matter” and served in various senior level financial and accounting roles within the manufacturing and telecom industries. 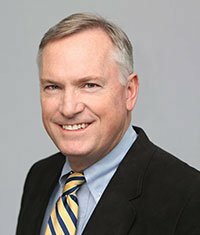 Brad has provided CFO-level financial and operational consulting services to a unique client base within the biotech, hospitality, lodging, e-commerce, transportation and manufacturing industries. In addition to the Invisible Disabilities Association, Brad is an officer and board member of Patrick Bennett Reservoir Company. Brad earned his BS in Accounting from the University of Denver and his MBA from the University of Notre Dame.